I am super excited to bring you all Fitness Goal Mondays. Here is the place where I will document my goals for the week. Please understand that working out eases my mind and has become therapeutic for me, but looking better in my clothes and treating my body good is a plus. 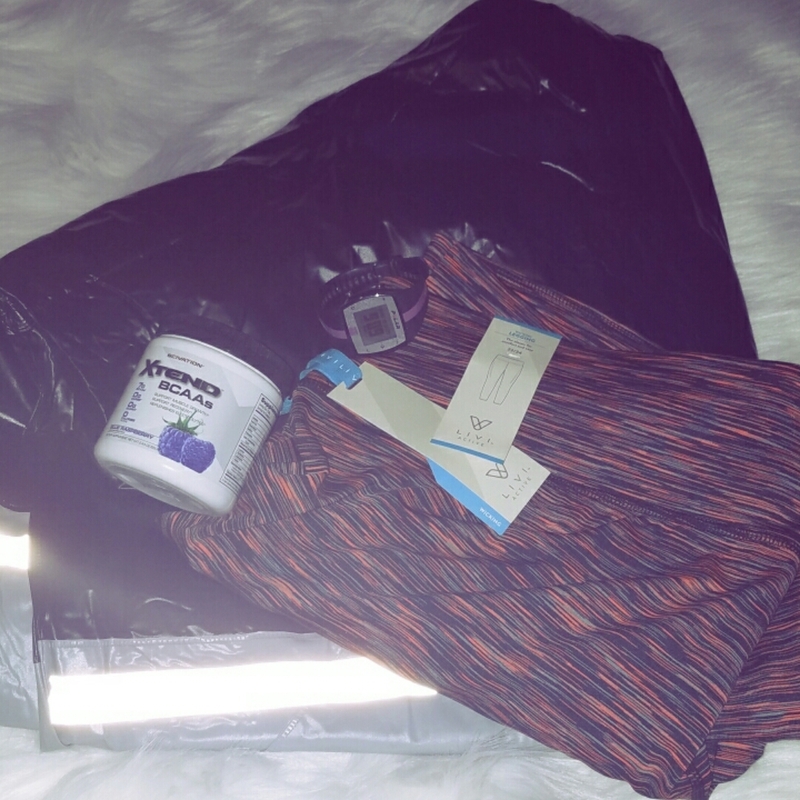 I love my sauna jacket because it helps to rid my body of excess water. I actually retain water and this is perfect for me. 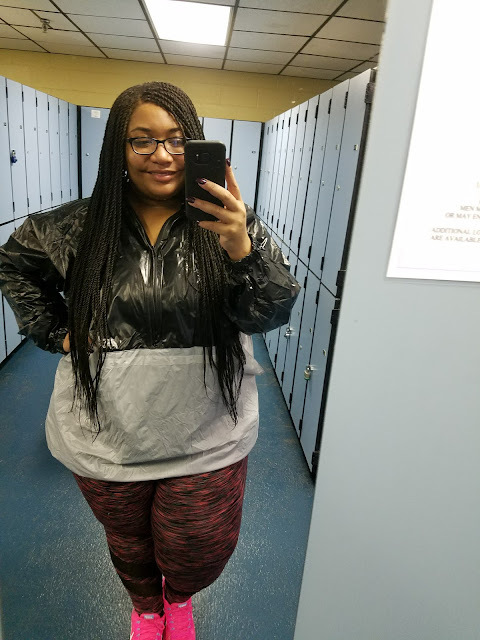 I love wicking leggings, because it actually helps your leggings dry while working out and if you’re like me I have to pack everything up and get ready for work at the gym so my leggings are dry and ready to be washed when I get home in the evening. I love my my polar!!! 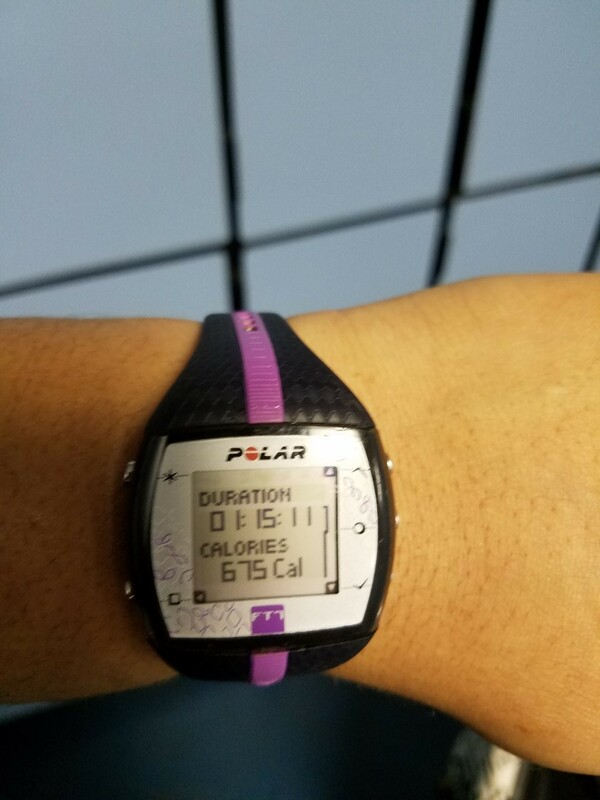 I actually love to focus on keeping my heart rate up while working out and knowing how many calories I burn. It’s kind of like a pat on the back after a really good workout. See today’s workout results below! I love water and a way to get more water in a day is by adding my favorite BCAA (Branched Chain Amino Acids) powder to my water before a workout. I workout in the mornings around 5:00 am and the BCAA helps wake me up.